Our BIG news is finally here! 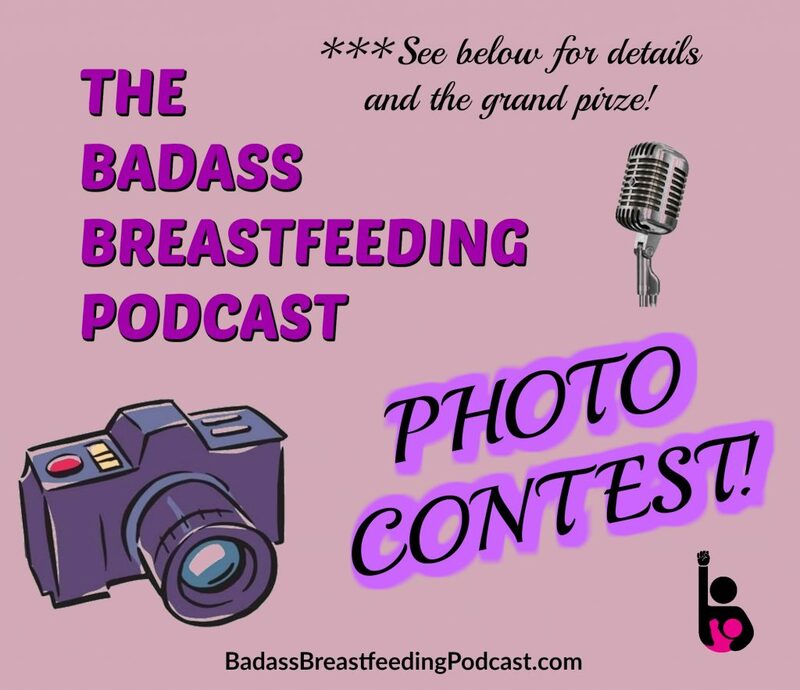 THE BADASS BREASTFEEDING PODCAST is hosting the ultimate breastfeeding Photo Contest with a grand prize that will make you squeal! Abby and Dianne, hosts of the podcast, will choose 10 finalists. These 10 photos will be posted on Instagram and Facebook for the badass community to vote on. All of the 10 finalists will win a bundle of Badass Breastfeeder gear (My Mom is a Badass Breastfeeder t-shirt, key chain and pack of empowerment cards.) 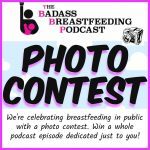 The photo with the most combined Likes will be the VERY FIRST GUEST ON THE BADASS BREASTFEEDING PODCAST! Yep, an entire episode featuring you and your breastfeeding story! Send an email titled “Photo Contest” to [email protected] Only photos that are emailed will be entered. Your photo should express what breastfeeding looks like to you. This means anything (EP, tandem, SNS, etc). However breastfeeding looks to you and your nursling! The 10 finalists will be announced October 10th. The grand prize winner will be announced October 18th! This contest is not endorsed by Facebook or Instagram. Disclaimer: If your photo is chosen as a finalist, your photo will be shared publicly! 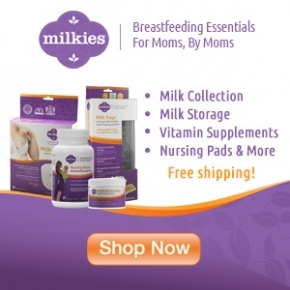 February Breastfeeding and Pumping Photo Contest! I breastfed someone for 8 years – best adult kids ever , thank you !